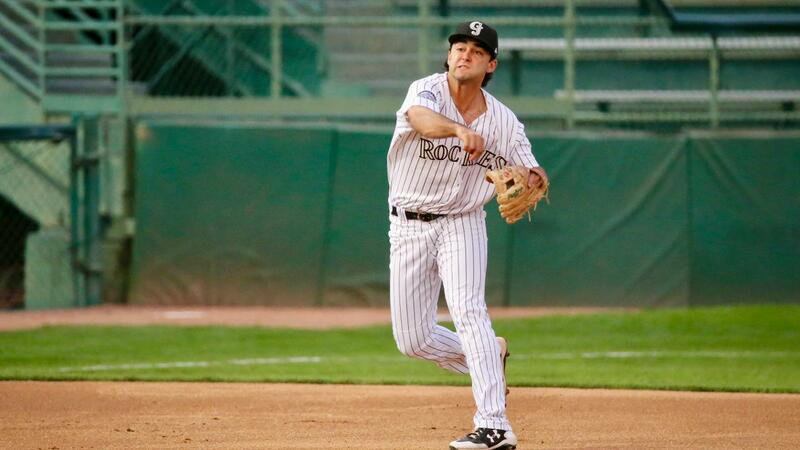 It was an epic slugfest as the Great Falls Voyagers and the Grand Junction Rockies did battle at Suplizio Field Tuesday night with 27 hits between the two teams. However, it was the Voyagers who sailed away with the 12-9 victory to take a 1-0 lead in the best-of-three series. Both teams are off tomorrow as they travel to Great Falls for game two and if necessary, game three. Great Falls started off the game by plating five runners in the first. In the home half, Grand Junction gained ground with Will Golsan and Hunter Stovall drawing walks before moving up a bag with a ground out. Grant Lavigne and Niko Decolati then had back-to-back walks to score a run making it 5-1. That would be it for Voyagers' starter Jason Bilous who was replaced by Carter Love. A strikeout brought up Javier Guevara singled to center to score two before a strikeout ended the inning. However, Great Falls plated another five runs in the top of the second with the score standing at 10-3 after two innings. However, the Rockies rallied once again putting up a five-spot of their own in the bottom of the third. Lavigne walked before Decolati hit a home run to clear the bases and make it 10-5. Three singles from Guevara, John Cresto, and Cristopher Navarro loaded the bases for Hunter Stovall who was hit by a pitch to bring in a run. Coco Montes then singled to score Cresto and Navarro. The last Rockies' run of the game came in the sixth with a solo homer from Stovall with the score at 10-9. However, the Voyagers plated a pair in the seventh and while the Rockies had men in scoring position, was unable to get them home with the final score at 12-9. Lane Ramsey was credited with the win pitching for one inning allowing a hit while walking one and striking out one. Nick Johnson picked up the save pitching two innings allowing a hit while walking two and striking out three. Eris Filpo was tagged with the loss pitching 1 1/3 innings allowing seven runs on seven hits with a strikeout.